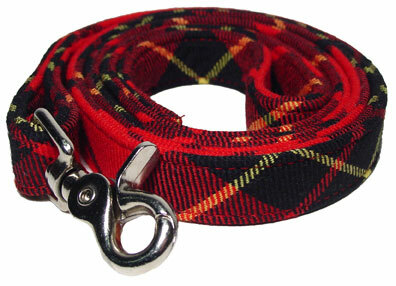 A fine tartan suitable to most any canine clan. Easy-to-use clasp is nickel plated. 3/4″ wide and 4′ long. Click here for matching collar.